There’s a cool local event we think would be a great opportunity to explore new ways to communicate science. A group of us are going to BarCamp San Diego, a two day ‘Unconference’ which is described below. Check it out (use link above and more info/register here) and contact us if you’d like to give a presentation, if your company would like to sponsor (very affordable, great for tech-friendly life science companies), or if you’re just interested in learning more. BarCamp is an international network of “unconferences” where geeks, hackers, makers, and others passionate about Internet culture and technology come together to share ideas and learn from one another. 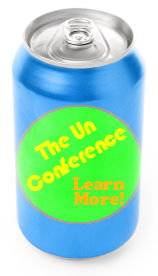 It’s an unconference because there is no theme or pre-set list of speakers – the agenda is built onsite of and by the attendees. Every attendee is expected to be a presenter (but they’re pretty lenient on first timers). The crowd is largely composed of those from technical fields, but topics can range from handmade books to the biochemistry of beer. All you need is a desire to learn and demonstrate cool stuff to fellow geeks. Admission is free, too! Barcamp is what you make it, so leave the slidedecks at home and get ready to “show and tell”. 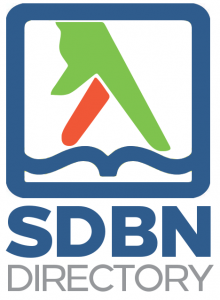 The SDBN’s eventual plan is to have an unconference completely devoted to life science and biotechnology. To learn more join us at BarcampSD July 10/11! #BIO2014 San Diego Representation #1: Who’s Speaking? June 20, 2014 Mary Canady Featured, SDBN Blog Comments Off on #BIO2014 San Diego Representation #1: Who’s Speaking?